Genealogical researchers working with DNA evidence, folklore and historical evidence have concluded American President Barack Obama actually is connected deeply to America’s complex racial history and heritage. Surprisingly, through, this is a connection to slave ancestors from his mother’s side – and not through his father’s indisputable East African lineage. By J. BROOKS SPECTOR. This fascinating bit of research comes from a recently released report issued by Ancestors.com, a company that provides genealogical data for clients around the world. Ancestry.com is the world’s largest online family history resource and has around 2-million paying subscribers. More than 10-billion records have been included in the company’s Web-based resources in the past decade and a half. When the results were released, one member of Ancestors.com’s team, Joseph Shumway, told the media, “We were surprised and excited to make that connection.” That must certainly have been putting it mildly. As virtually everyone knows, Barack Obama’s father hailed from Kenya and his mother from Kansas. The two met and were married while still students at the University of Hawaii. Initially, when Obama first threw his hat into the presidential candidacy ring, some African-Americans seemed to have felt that while he had enthusiastically embraced their racial circumstances, his ancestry was too, well, exotic, to be perceived automatically as being at one with them. Until this study had been carried out, it had been generally assumed the president had no American slave ancestors because researchers couldn’t find any through the lineage of his father—something clearly more than a little unlikely given the lack of any connection to America until his father was a scholarship student in Hawaii. But, until this research project was carried out no one had thought to undertake exhaustive research into his mother’s lineage. It turns out that she has a mixed-race family history—albeit one that reaches all the way back to the very beginnings of American history and settlement. The company found that Obama is likely to be the 11th great-grandson of one John Punch, an African slave who lived in colonial Virginia. He, in turn, is believed to have had children with a white woman, starting a family line that led many generations later to Obama’s mother. In saying this, the company is also making an important, often overlooked, point about the circumstances of racial mixing in the very early days of colonial Virginia. In 17th century American colonies free, generally white, settlers, included indentured servants from England and Ireland who served for defined time limits in exchange for passage. They, along with native Americans, African slaves and African indentured servants and some manumitted slaves all contributed to the colony’s eventual gene pool. The Ancestry.com team drew on a range of tools that included DNA analysis as well as marriage and property records to trace Obama’s maternal ancestry. It said it took two years to research the Obama maternal line, and it has added a cautionary note to its findings: It cannot—yet—make a definitive link to Punch because of a gap in family history. This gap includes a missing record that would definitively connect Punch to his presumed biological son, a free man who by his early 20s already owned 450 acres and grew tobacco in early Virginia. The records do pick up when one of Punch’s grandsons petitioned a court to marry a white woman—and was turned down, presumably because the grandson appeared of mixed-raced heritage, explained Elizabeth Shown Mills, a former president of the American Society of Genealogists. This extraordinary saga begins with John Punch. He is understood to have arrived in Virginia around 1640 from the west coast of Africa, initially as an indentured servant obligated to work for years to pay for his passage, rather than a lifetime slave. But, Mills explained Punch then “jumped the gun and took off”—something, not surprisingly, that happened repeatedly throughout American history, from the fictional but eminently realistic life of Jim in “Huckleberry Finn” to the decidedly un-mythical young Frederick Douglass when he fled a life of slavery in Maryland. When Punch was recaptured, he was made a slave for life instead of merely being returned to his earlier indentured status, thus receiving a punishment clearly much harsher than one given any white servants caught after they had absconded from their indentures. This case has led historians to refer to Punch as the first African actually enslaved in Virginia—years before the colony officially created slavery as a specific legal condition. Little or nothing is known about Punch’s presumed relationship with that anonymous white woman, but his landowner son is presumed to be John Bunch, either because the mixed-raced family changed its name or because records transcribed it incorrectly, according to Shumway. 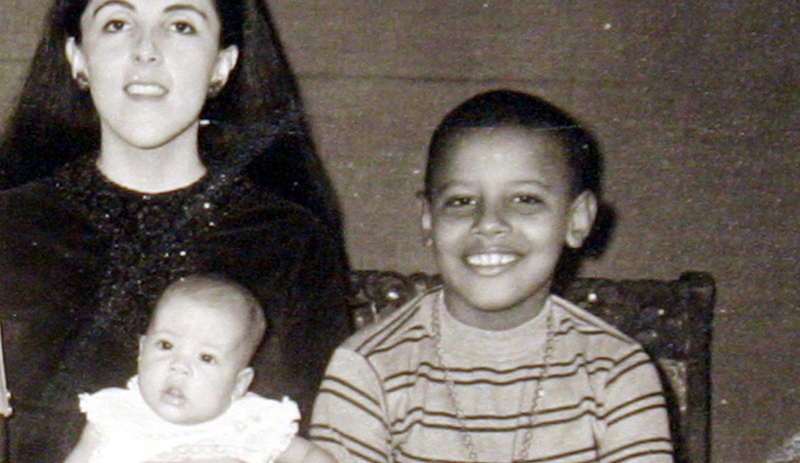 With that information in hand, researchers were then able to make a definitive connection between the Bunch family line and Obama’s mother, Stanley Ann Dunham, who died in 1995. Regardless of the presumed gap, researchers now believe John Bunch was John Punch’s son. “He’s in the right place at the right time, and he’s the right age,” Shumway explained. Moreover, many Bunch family members who have what are generally defined as white features still share the DNA profile of West Africans. The task of the researchers who were examining Obama’s mother’s ancestors was made more complicated in the 372 years since America’s settlement saga began, many important records have been lost—a common problem for early Virginia records. Floods and fires, as well as the Civil War, have destroyed many of the commonwealth’s older records. While this clearly challenged the project, the genealogists at Ancestry.com said they ultimately forged the connection, starting with Obama’s family tree. And as for Stanley Dunham, Obama’s mother, there is no sense she had any idea she might have had an African-American forebear, says Janny Scott, her biographer. In fact, according to a 2007 article published in the Chicago Sun-Times, one of her Bunch ancestors had a son who had fought for the Confederacy in the Civil War. With all this, Donald Trump—the current exponent of the so-called “birther controversy”, the evidence-free assertion Barack Obama was born in Kenya, Indonesia, Moscow or on the dark side of the Moon and then surreptitiously inserted into America so as to become a “Manchurian candidate” four decades later—has not yet made any comment on this link between Barack Obama and one of America’s earliest settlers. There is a modest ironic element to this story, of course – something especially relevant in this presidential election year. It is Utah-based genealogists at Ancestors.com who have tied Barack Obama firmly into the complex and intriguing racial tapestry that is American history, reaching right back the days of America’s first settlement. Ancestors.com is based in Provo, one of the spiritual homes of the Church of the Latter Day Saints, or, as they are more popularly known, the Mormons. Over the years, many Mormons have used Ancestors.com’s unrivalled genealogical research capabilities (although the company asserts there is no direct connection between it and the church) to identify progenitors so as to permit believers to baptize them retrospectively into their faith. This is something Mitt Romney—Obama’s opposition in this election—has also acknowledged doing in his own life.